Start connecting and converting online. 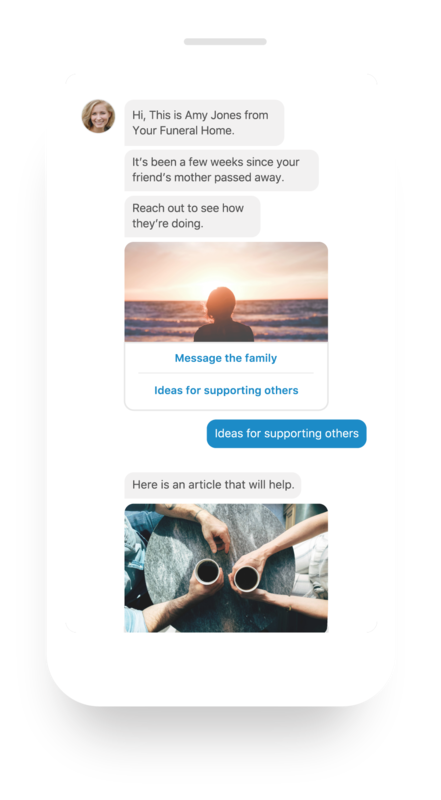 Build a Digital path to healing for an entire community. Find the Blind Spots in Your Market with Our Free Market Analysis. Effortless Follow-up with the Funeral Planning Center™. Spend less time making phone calls and more time focused on what you do best. 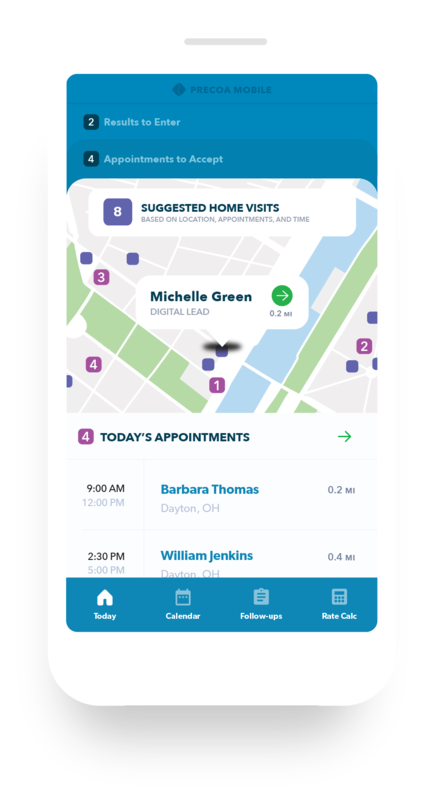 Our planners connect your funeral home with more families in your community. Rigorously tested, thoughtfully implemented, and diligently supported, discover how comprehensive marketing turns leads into satisfied customers. This business is about people. With our custom recruiting system and expert on-site coaching, we support your program with top-flight professionals. 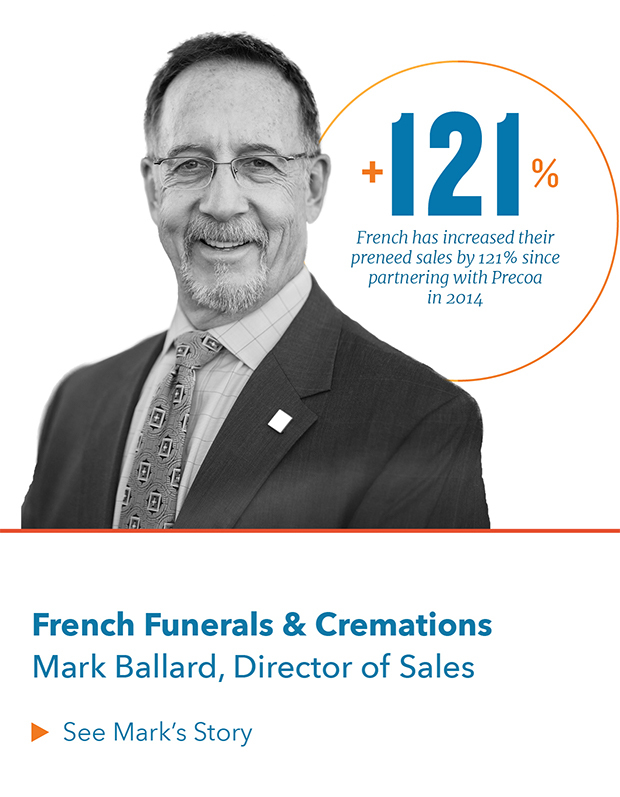 We do more than sell policies. 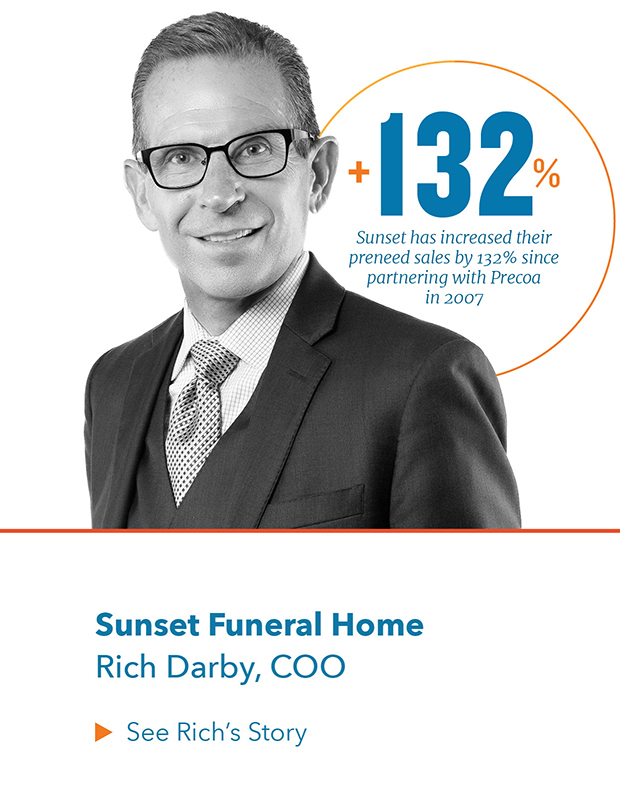 We share the life-changing impact of funeral service with every family served. 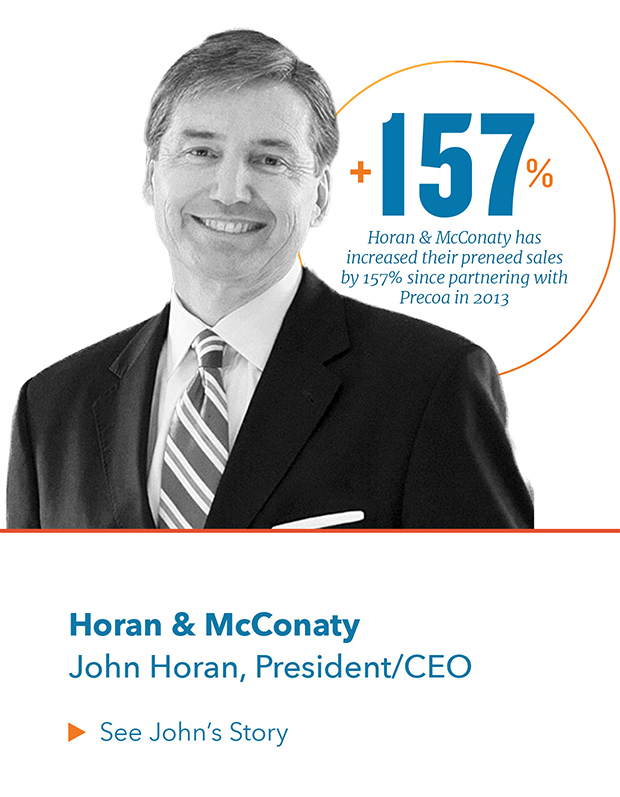 It's part of our commitment to provide the highest quality preneed in America. 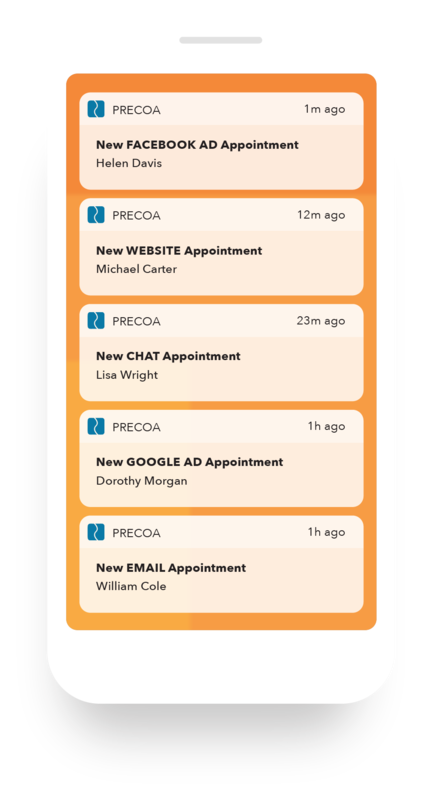 See how funeral homes are sharing the value of service with more families in their communities using Precoa’s ProActive Preneed®. 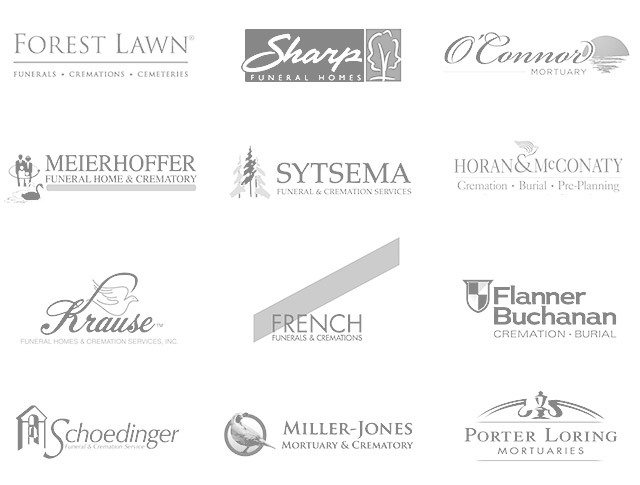 Precoa is proud to be partnered with our profession’s leading funeral homes.